Another year comes a great party, the Romería – Pilgrimage and Feria de San Miguel, where Torremolinos welcomes so many visitors from Spain and tourists from different countries. La Baranda is located in Montemar, on the beach of La Carihuela, very close to the Paseo Marítimo de Torremolinos (Torremolino´s promenade), a wonderful place to enjoy the Costa del Sol. From Apartamentos La Baranda, a tourist complex in Torremolinos, on the Costa del Sol of Malaga in Andalusia, we encourage you to spend unforgettable days of fun. In La Baranda we will be happy to stay in our Apartments and Studios for rent, while you enjoy to the fullest during your holidays, you will have the rest you want so much in our quite complex. Here we leave a video of this celebration on previous years, so you get what to expect during this festival that is held from the 23rd to the 30th of September 30, 2018. 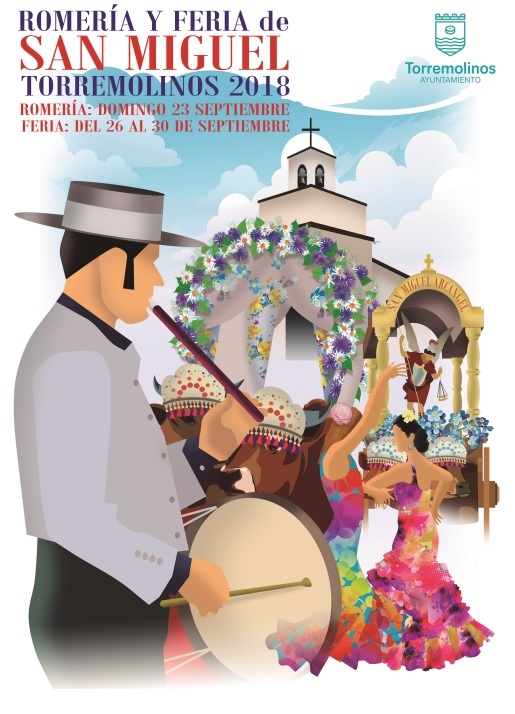 The festival program of the Romería Festival includes musical performances, rociero choirs, parades, paella, sporting events and cultural shows. At night the Fairgrounds become the centre of the festivities with dances, joy and laughter that invade every corner. A few days before, the Romeria of San Miguel is also celebrated. On the 23rd-September, 2018 (Sunday), the traditional “Romeria de San Miguel” is celebrated, considered a Festival of National Tourist Interest. It is the second Romeria in Andalusia, after El Rocío, where hundreds of ox carts and harnessed horses participate. The faithful make a pilgrimage to the Ermita de San Miguel, beginning their journey in the heart of the city. The Fino wine and the good ham, accompany the pilgrims all the way, to the sound of palms, cantes (singing) and Andalusian dances. On the 29th-September, 2018 (San Miguel’s day) is the festival´s “Big Day”. The acts will begin at midday with a mass in honor of San Miguel, sung by the choir. 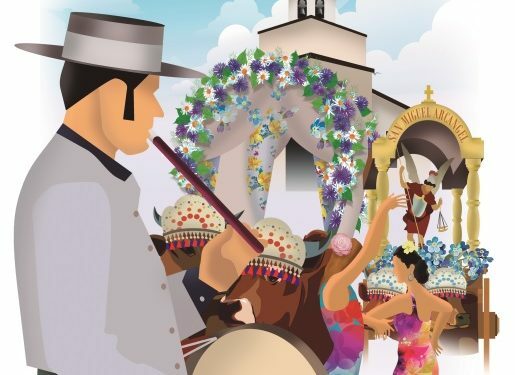 In the afternoon the traditional Floral Offering is celebrated and after it the faithful will accompany in procession the image of the saint, touring the main streets of Torremolinos. If you wish to book an Apartment or Studio in our tourist complex “La Baranda”, we invite you to continue browsing our Website for more information and discount offers, where you could also make your online bookings.